1. 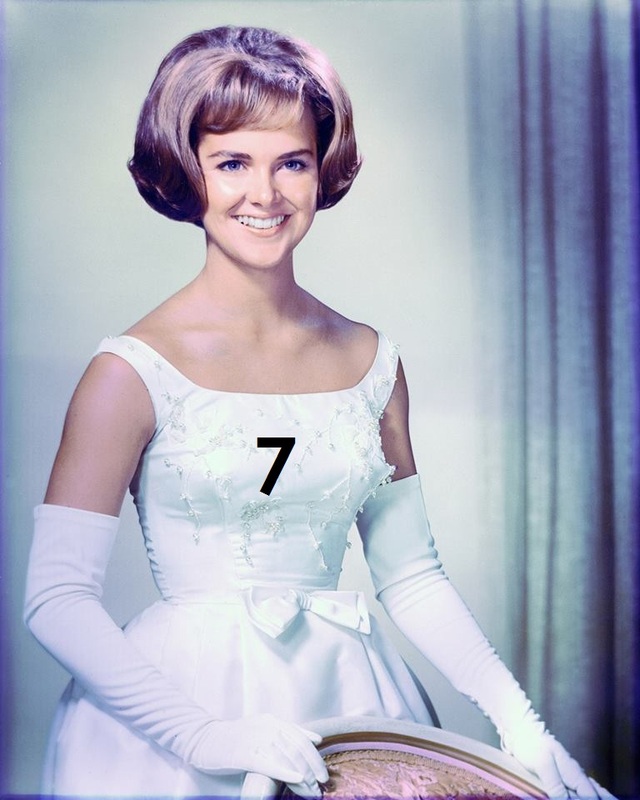 If one is the loneliest number, I suspect seven is Homecoming Queen. 3.14159265359 is Most Likely to Be Irrational and Transcendental. And sixty-nine is annoyed that she is illegal in Washington, D.C.
2. Ever wonder if Jesus might have just been a really good magician? Thank you, my disciples. Now for my next trick, I shall turneth thy water into a full-bodied merlot. Or my blood. Just kidding. No, it’s my blood. 3. Is it just me or does the word “feces” sound like a pharaoh’s name? 4. I miss Pluto. What’s up with these astronomers suddenly downgrading Pluto from planet to dwarf planet. (And yes, I realize this happened in 2006. I’ve been catching up on my reading.) That’s not even PC. Shouldn’t Pluto be referred to as a little people planet? And what about the mnemonic device I used to remember the planets’ names in order? My Very Educated Mother Just Served Us Nine makes no sense without the big finish: Pizzas. Frankly, I think we should all be wearing black and sitting shiva. It’s only been nine years and everyone’s over it, like we weren’t lied to since second grade science class. I blame Neil deGrasse Tyson. 5. Why doesn’t everyone double-knot their laces? I mean, why risk an untied shoe when you don’t have to? Seems like there should be a law. 6. Since snakes come in every color but purple, shouldn’t garden hoses only come in purple? Otherwise, we’re just torturing ourselves every time we walk in our yards and are accosted by garden hoses impersonating snakes. 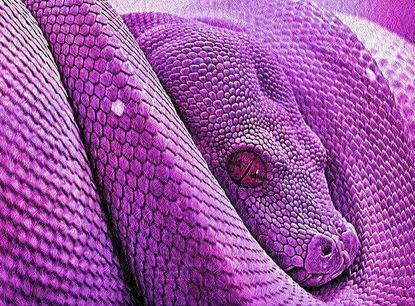 This snake isn’t really purple. Yes, this photo is a big, fat lie. Just like astronomers everywhere. 7. Maybe people with minimalist, modern homes aren’t classy and restrained, but too strapped for cash to buy chotchkies. And maybe their furniture is comfortable. 8. I’m pretty sure Narnia is located in a snowy section of Central Park. The part with a streetlamp and a backless wardrobe filled with fur coats, none of which are inexplicably ever stolen. 9. Schools no longer teach children how to write in cursive. Ha! I know more than a fifth-grader. Finally. But they don’t carry around the pain of losing Pluto. 10. Ten is a lousy random number. Note to self: Next time think of nine or eleven funny random things. Miss Snarky Pants is a humor and satire blog. If you don’t get it, you should move along quietly or be mocked. However, if you enjoyed yourself, please share and have an awesome day. But don’t forget about the share part. 4. I refuse to recognize Pluto as anything other than a planet. One day my denial will become a fact, and Pluto will be reinstated. Whether I live long enough to see such a wonder happen is anybody’s guess. 5. I would double-knot my laces if any of my shoes had them. Even so, I always tie them too tightly for my shoes to randomly fly off my feet because I’m paranoid like that. 6. I would totally buy a purple garden hose. Or, my husband would – purple is kind of his thing. Loved this post! Just what I needed to make it through the longest Monday afternoon since last Monday. Thank you, Kay. I’m with you on Pluto. I don’t think I’ll ever trust an astronomer again. And I’m all for purple garden hoses. Snakes really, really creep me out. Really. I believe not hiring me to write for SNL remains one of Lorne Michaels greatest regrets. After Anthony Michael Hall. Oh, it was SO about time, girl. I need a FAR more steady infusion of Snarky-Brand Humor. And by steady I mean IV drip. Please arrange that while you’re jotting down your next killer piece. I promise to give you a review worthy of a bestseller. Bring it! Of course! But why do I already know you will? Honesty comes first, THEN leading people to the proper decision. Feces does sound like the name of a pharaoh. Snarky sounds like something astronomers will be discovering and naming soon. Excellent point about garden hoses! Thanks, BJ! You can find purple garden hoses, btw. Problem is they won’t arrive for another 10 years or so. You mean they will be the late flowers. Doesn’t matter. Scientists will probably downgrade them from flowers to weeds by the time they arrive. Sigh. Are you sure your head is alright ?